Many a time, unilorin freshers are taken into the belief that he or she will have to do a lot after getting admission. Yes, that means he or she would need proper guidance. This article will show you exactly what to do after gaining admission in Unilorin step by step. Did you just gain admission and you don't know what to do after gaining admission into unilorin? Then relax I am going to guide you through the major things you need to do as a Unilorin fresher. 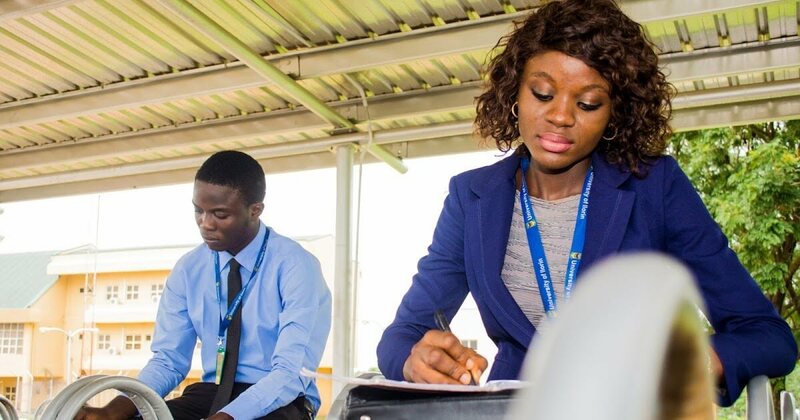 These 7 do's below is the basic thing you're advised to do after gaining admission into Unilorin. After Clearance, get a Good and conducive hostel. Know the in and out of school. Keep coming to Unilorin Help Mate website for more guidelines throughout your first year. So without further ado, let me address them to your perfect understanding. 1. Pay your acceptance fee and proceed with Clearance. After receiving your admission letter from the school. You should first worship your God because you have been admitted into the better by far university in Nigeria. But then, you have to be careful about everything you do. If you're not attentive to the little things and if you do not do the needful. Your admission will fly off your hands overnight. Really? Yes, you heard me right. Needless to say, the first step is clearance. During clearance, you may have to submit some required documents. The following charges would be required from you. However, the board does not deem it compulsory to come up with these charges at once. But a Unilorin fresher who recently gains admission into Unilorin must first pay the acceptance fee before you're cleared. Still on the topic; what to do after gaining admission into Unilorin. "How do I pay acceptance fee in Unilorin?" STEP 2: You should see a sub-session to pay your fees. Head over there. You will see a left column in your portal. STEP 3: Follow the prompt instructions and requirements and pay with your debit/credit card. STEP 4: After payment, you"ll be informed if you have been cleared or not. But this process might not be immediate as it may take a week or two, sometimes lesser. After your clearance, you will be forwarded to your level adviser for course registration. Unless otherwise stated. But until you've been cleared you can't do anything after gaining admission into Unilorin. How much is Unilorin Acceptance Fee? As a unilorin fresher, you may want to know how much is Unilorin Acceptance Fee. Unilorin Acceptance Fee as at 2018/2019 should amount up to N25, 000 (Twenty thousand Naira). After clearance, you can proceed with other payment. 2. After Clearance, get a Good and conducive hostel. The next step after clearance is to fix a hostel where you will base in. You may want to consider somewhere close that won't be stressful when choosing a hostel. There are many things to consider, whether you choose to live outside the campus or inside the campus. First, you may want to consider the ease of transportation, and then; an environment that is conducive for learning. Should you need my advice. I did advise you not to go about looking for hostel during your first month of admission processing. Rushing into any environment may cause you to have a negative experience; you should consider squatting with a friend for the meantime. But this is if you decide to go off campus. If you decide to leave within the campus then you should simply proceed with the payment after your clearance. At least these are 'what to do after gaining admission into Unilorin' that you have been looking for. 3. Look for someone in your department and ask him or her for guidelines. To be frank with you, if you move on your own after gaining admission into Unilorin, you would get lost. As in, the guidance of other students can help you if you can't seek help directly from any officials. Don't sit at home and be waiting for the school to send you emails containing directions on what to do. O.Y.O ( You're on your own). Try and make a friend with someone at a higher level and ask them for the do's and don't, pertaining to Unilorin freshers. They will keep you in the watch to make sure you avoid making silly mistakes. 4. Know the in and out of school. Knowing the in and out of the school entails you to know where you can easily find anything if the need calls for it. Consequently, you may need this thing or another thing. For example, where the School library is, bank areas, cafe's, shops, your department, fellowship, mosque and more. Knowing all these should help you get familiar with the environment quickly. After the steps on what to do after gaining admission into Unilorin as mentioned above are fulfilled, you should start preparing for the fresher's test. This is compulsory anyway, and it comes in the second or third month after admission. You've now got to the stage where the real school life gets started. If you have successfully done all the required then start preparing yourself for the full session. Start getting handouts, textbooks and previous course note from older students and start investing your time in reading. Don't get too busy with friends or activities that May distract you. Be actively engaged with your books. 7. Finally, keep coming to Unilorin Help Mate for guidelines. 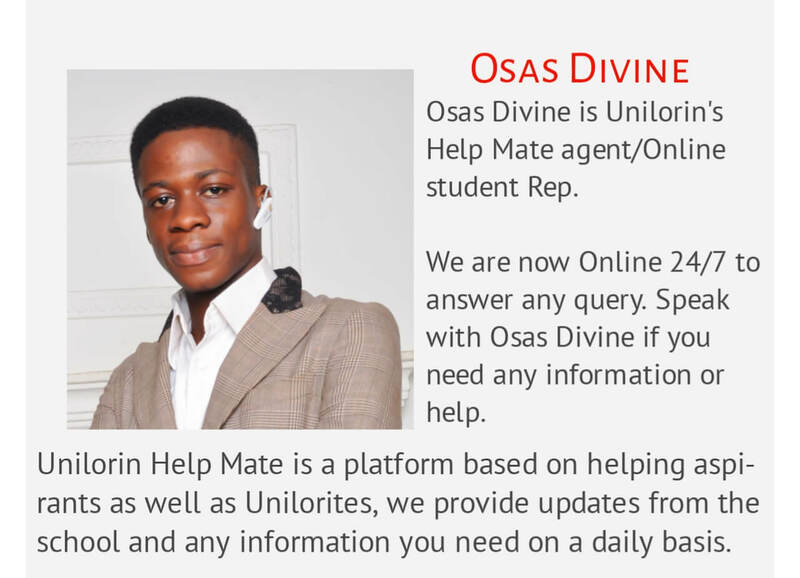 Unilorin Help Mate is a dedicated online platform representing University of Ilorin for better-detailed guidelines for new intakes. We have an active contact page that we use in responding 24/7 to students who need help on any area. If you still don't know what to do after gaining admission into Unilorin please leave a comment below.